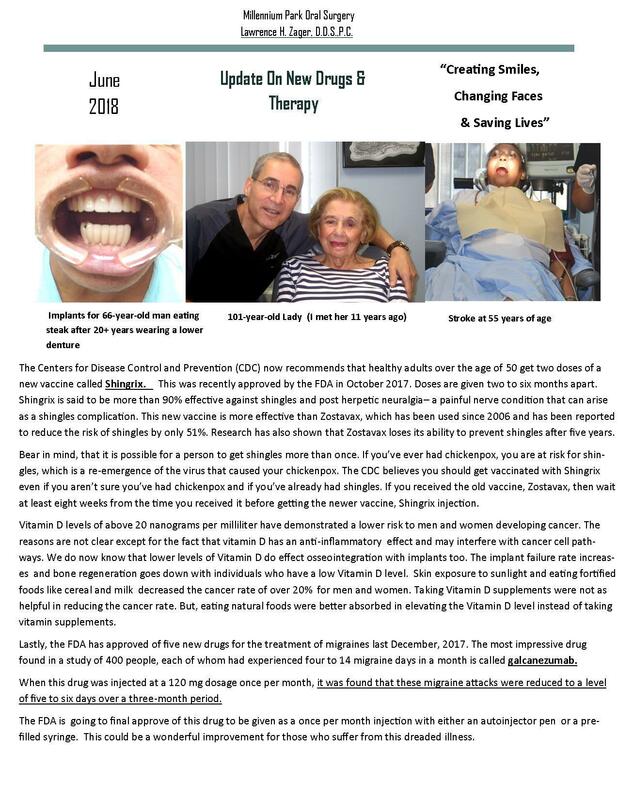 Over the past several years, attempts have been made through research and clinical trials to develop techniques that are minimally invasive to regenerate bone and gum loss for our young and older patients. These procedures can be completed in the dental office without hospitalization and they are more affordable. This allows the clinician to help and treat more people, who otherwise might never be able to receive these benefits towards good oral health. 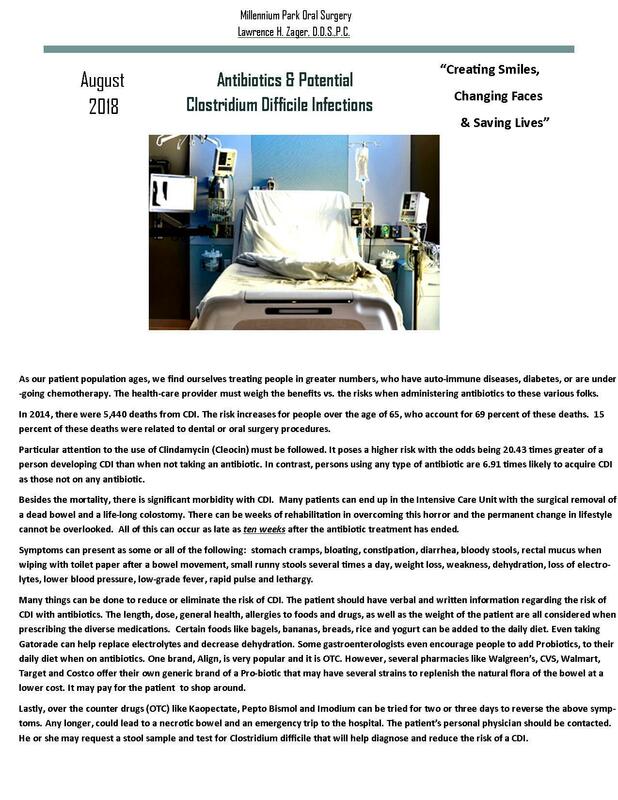 Our patients are older and medically compromised whether it be through age, diabetes, chemotherapy, radiation therapy, auto-immune diseases, poor nutrition and other systemic diseases. In many cases, people over the age of 50 might be on five to ten different drugs to control their illnesses, which can have a profound affect on the loss of teeth, ability to chew, taste, swallow, speak, sleep, breathe and smile. 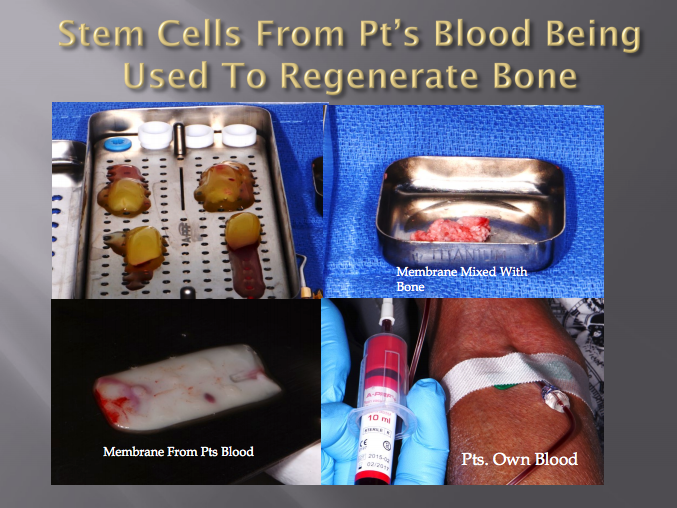 I have found that the introduction of “Stem cells” from the patient’s own blood and bone transplanted from the wisdom tooth area of the jaw have been shown to be more effective in allowing us to rebuild what bone and soft tissues are missing to reconstruct with dental implants for future individual crowns, bridges and All-On-4/5 prosthesis. We can restore what has been lost through neglect and disease in a shorter period of time with less allergic reactions, infections and rejections for each individual patient. By treating my own dental and physician colleagues, we have been able to monitor bone height, width, density, gingival grafts and success for the past several years. My first dental implant placement was in 1983. Several of these implants are still in function today! But, bare in mind that new materials, methods, drugs, operations and devices are constantly being introduced that can make a big improvement in the outcome of any surgical result. Today, social media and the internet bombard the potential patient with a lot of technology, new medications and surgical procedures that are not evidence-based or have been clinically approved. The patient has by-passed the clinician’s skills, knowledge and experience. The real problem is to know what works over a period of time that will improve the quality of life for that individual and not be a short-lived scam for someone’s financial gain.